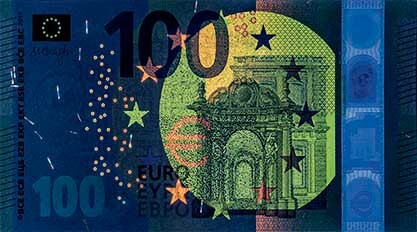 The unveiling of €100 and €200 new banknotes did happen september 17th 2018, many information were revealed on the last two denominations of the ES2 banknotes series or “Europe type” series. 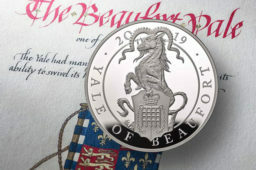 They willl be put into circulation on 28 May 2019. 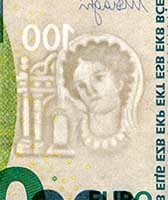 The second series of euro banknotes is called “Europa” because the notes contain a portrait of Europa, a figure from Greek mythology. It adds a human touch to the notes and, of course, is the origin of the name of our continent. 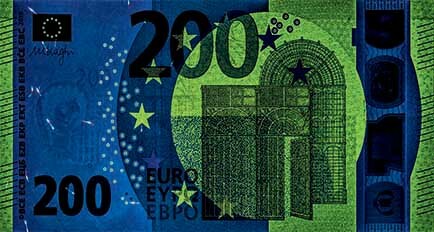 The “ages and styles” theme of the first series has been continued in the Europa series but has been given a fresh look and stronger colours by a Berlin-based independent banknote designer, Reinhold Gerstetter. 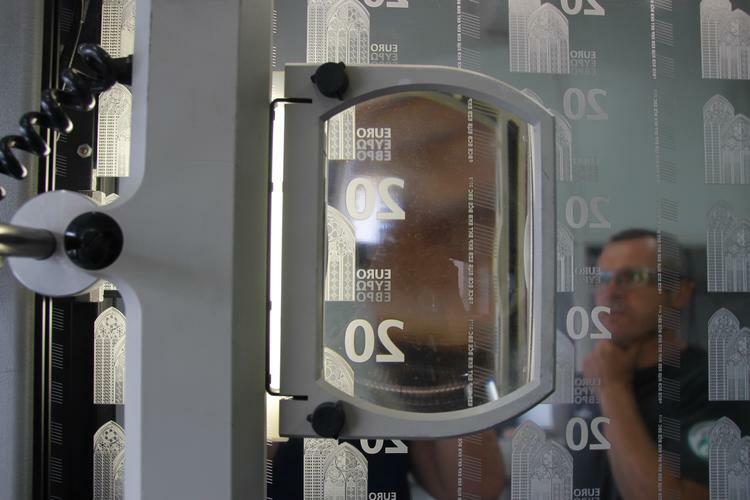 He has created visual elements that are more rounded and bridges that are more three-dimensional. 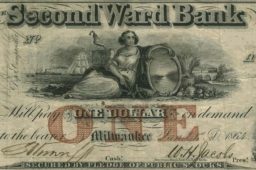 These changes make the notes easy to distinguish from the first series. 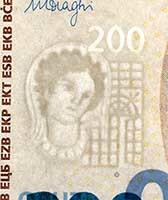 The Europa series also includes security features that are even more difficult to counterfeit than those of the first series. 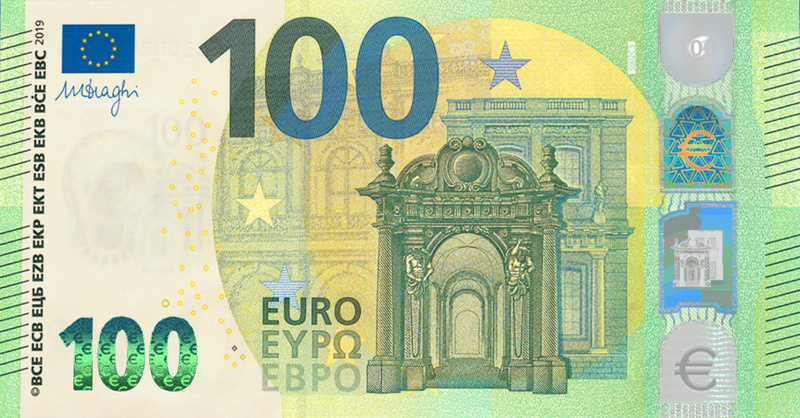 The €100 banknote shows baroque and rococo-style architecture from 1600 to 1750. In this series of banknotes the initials of the European Central Bank are shown in ten linguistic variants instead of five, due to the enlargement of the European Union in 2004, 2007 and 2013 – BCE ECB ЕЦБ EZB EKP EKT ESB EKB BĊE EBC. 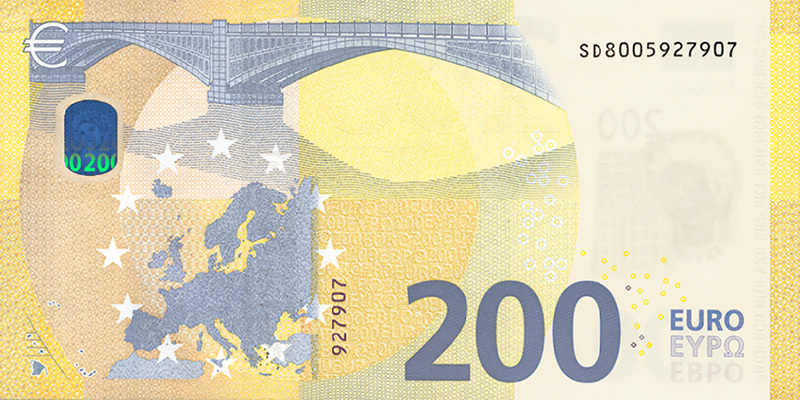 The map of Europe on the back of the Europa series banknotes includes the islands of Malta and Cyprus – two of the countries which have joined the European Union since the launch of the first series. 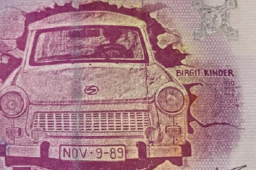 The name of the currency has been written in the Cyrillic alphabet (EBPO) since Bulgaria joined the European Union in 2007, in addition to the Latin (EURO) and Greek (EYPΩ) alphabets. 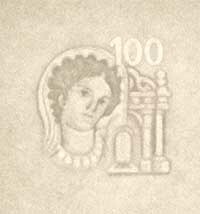 In all, three printers were responsible for printing these new denominations, including the Banque de France printing works in Chamalières and probably the Bundesdruckerei printing works of the German Central Bank. 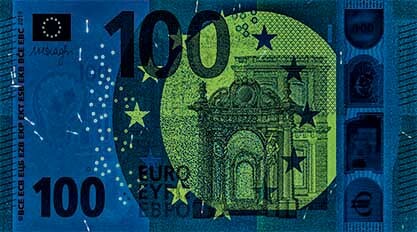 Collectors should therefore find €100 and €200 banknotes with printer letters U, for the Banque de France and X, for the Bundesbank (“Bundesdruckere i”) in the long code of future €100 and 200 banknotes. 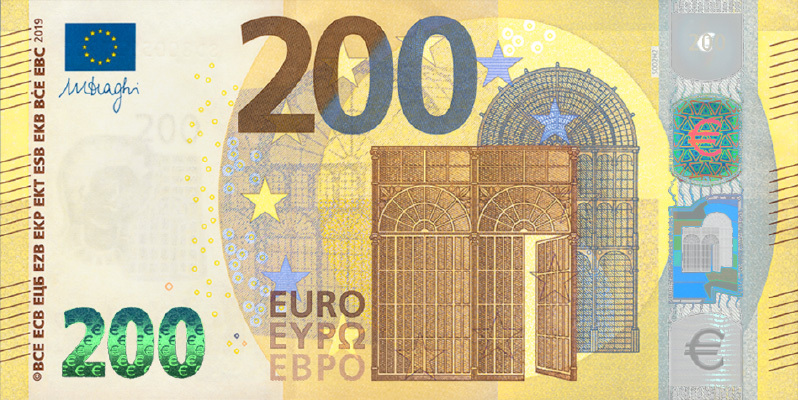 The Banque de France was also in charge of the “pilot” production of these new €100 and €200 notes of the “Europe type” series. 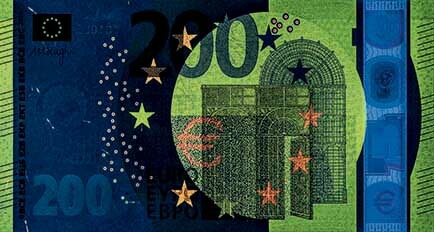 For 2018, the central banks of Estonia, the Netherlands, Finland, Luxembourg, Malta, Slovakia, Slovenia and Cyprus have formed a group which will sign a single public contract for the supply of banknotes to be supplied to the euro area by these countries for the year 2018. 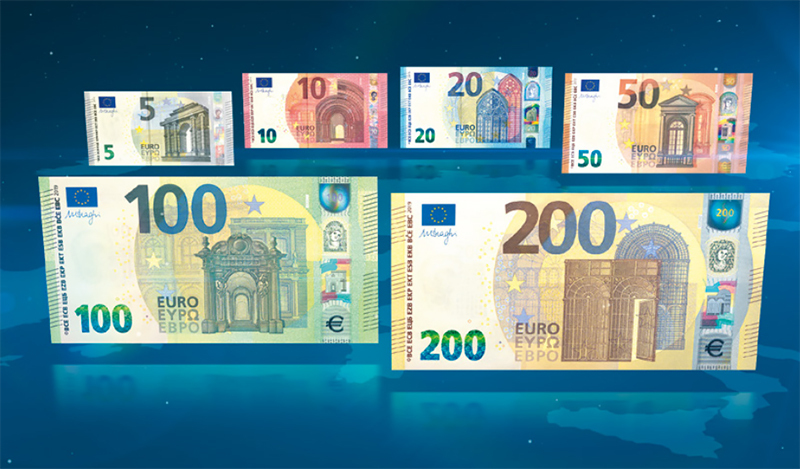 For all these countries, there will therefore be only one banknote printer in charge of printing the new €100 and €200 banknotes. 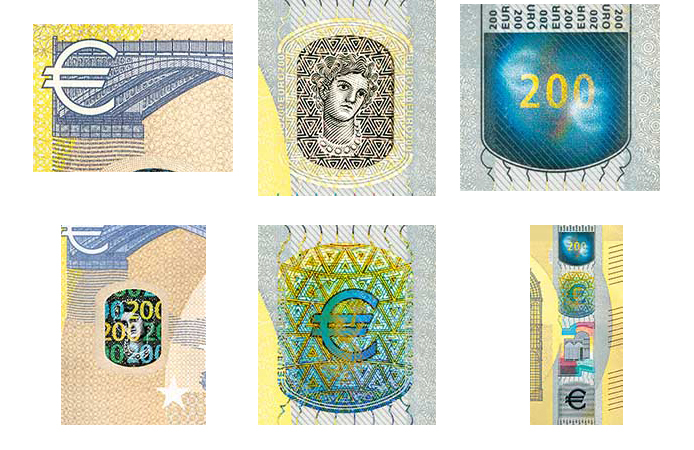 It should be noted that for the second ES2 series, the Banque de France will print all denominations from 5 to 200 euro, whereas for the first series of euro banknotes, it was mostly limited to printing the lowest denominations from 5 to 50 euro. 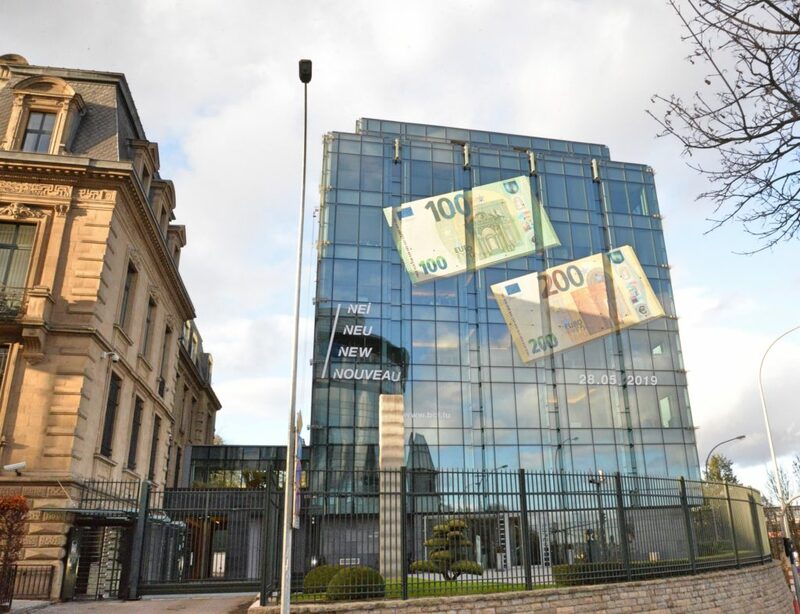 In 2017, the Banque de France produced 1.4 billion euro banknotes of all denominations. 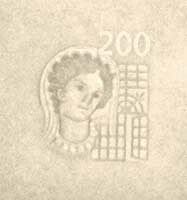 Finally, the Banque de France paper mill is becoming an essential manufacturing center of banknote paper. It was spun off in 2015 under the name EUROPAFI. 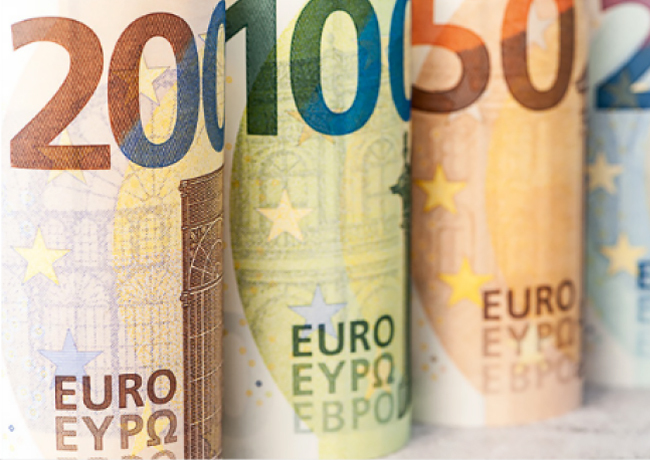 In 2017, the Banque de France still holds the majority of the share in EUROPAFI capital, but the central banks of Austria, Ireland, Italy and Portugal became in the same time shareholders in this subsidiary of the Banque de France. 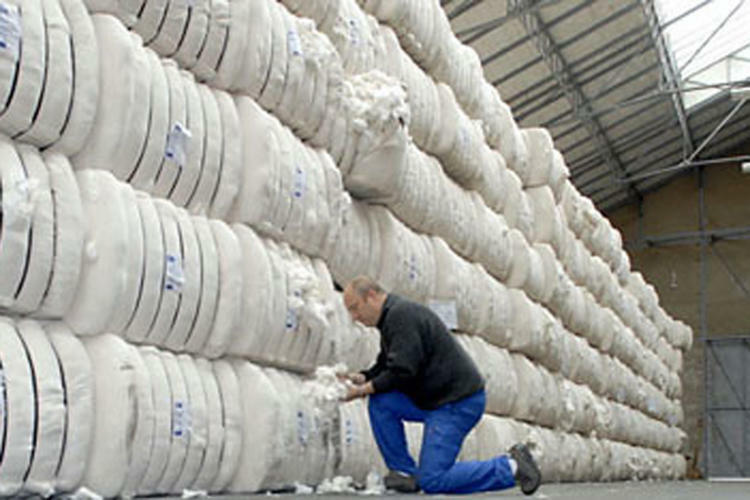 From now on, the banknote printing works in these countries or the printers in charge of producing the volume of banknotes to be issued by these countries will be supplied with banknote paper manufactured in Vic le Comte, in the Banque de France paper mill. 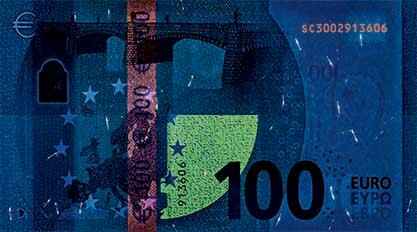 On the occasion of the communication campaign announcing the launch of the new banknotes, the ECB will recall that the Governing Council of the central banks of the euro system has endorsed the abandonment of €500 banknotes production. 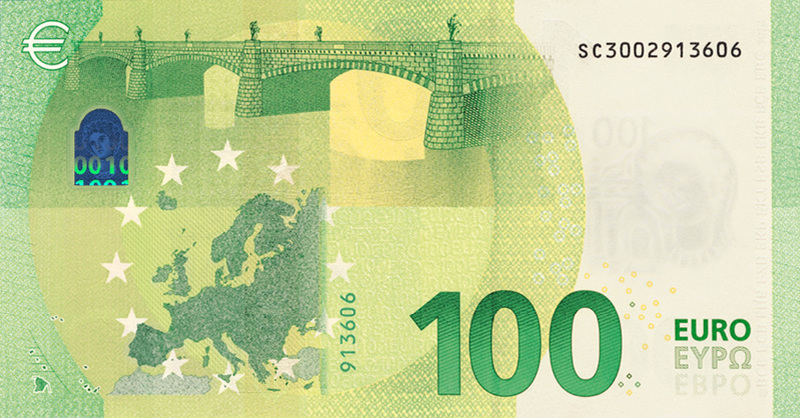 However, these notes will continue to be legal tender in the euro area. 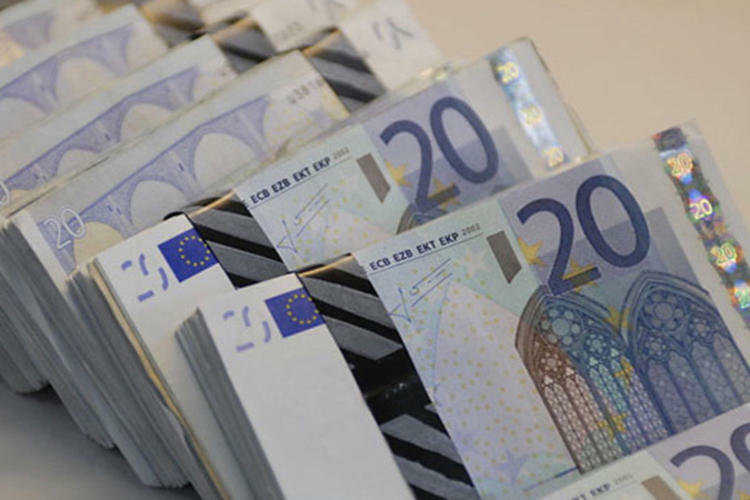 The ECB noted that the announcement of the end of the 500 euro banknotes production had led to a sharp increase in demand of 100 and 200 euro banknotes by European firms and households. Signature of Mario DRAGHI willremain on the two last new kanknotes of Europa series. 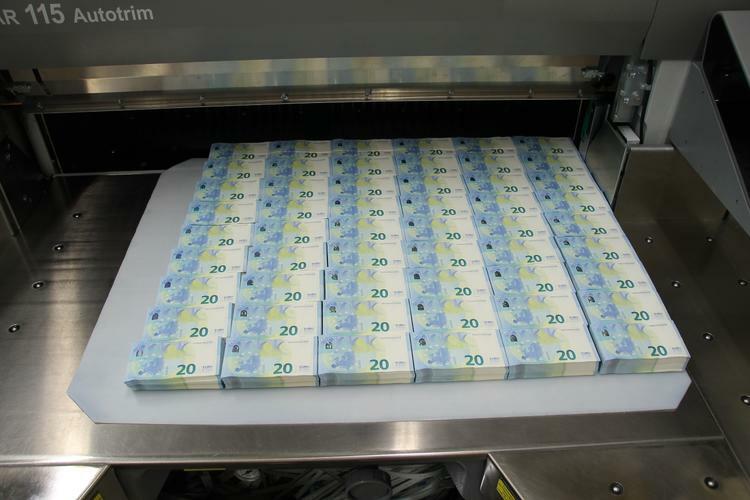 ECB did communicate some datas concerning new €100 and €200 banknotes production. Belgien Z, belgian pw closes its doors in 2020! Sources: Banque de France, ECB, NUMISMAG©.